Full disclosure: This week's Thirsty Thursday is what some might call a girly drink. No, it doesn't have a little paper umbrella, but it is sweet and colorful, and the name pretty much says it all: Cotton Candy. Sometimes you just want something different, something easy to sip, something fruity, something fun. And don't worry about this drink tasting too good to be true in terms of your diet. The recipe is surprisingly low in calories. 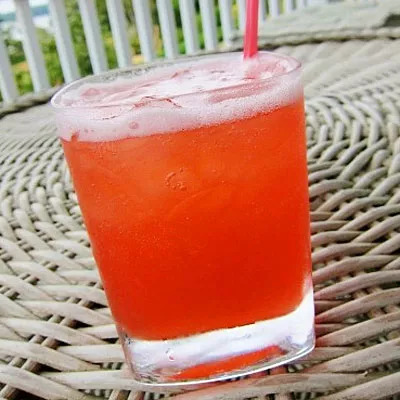 With only four ingredients--vodka, seltzer, pineapple juice, and grenadine--it's both simple to shake up and a much better choice than a scale-busting pina colada. So drop the donuts and indulge your sweet tooth with a cool summer sip instead.